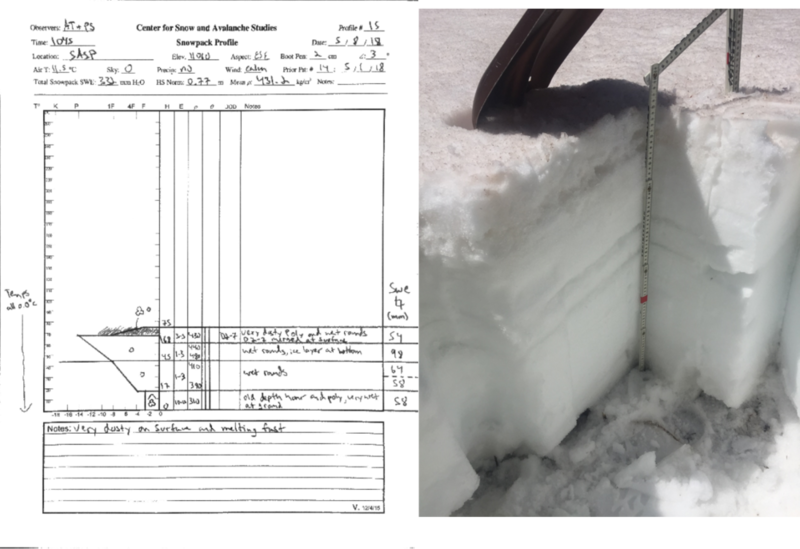 Berthoud Summit Snotel SWE accumulation and ablation for Water Years 2011 and 2012, with dust-on-snow events shown, by date, as brown bars for both water years (as observed at the Senator Beck Basin Study Area). 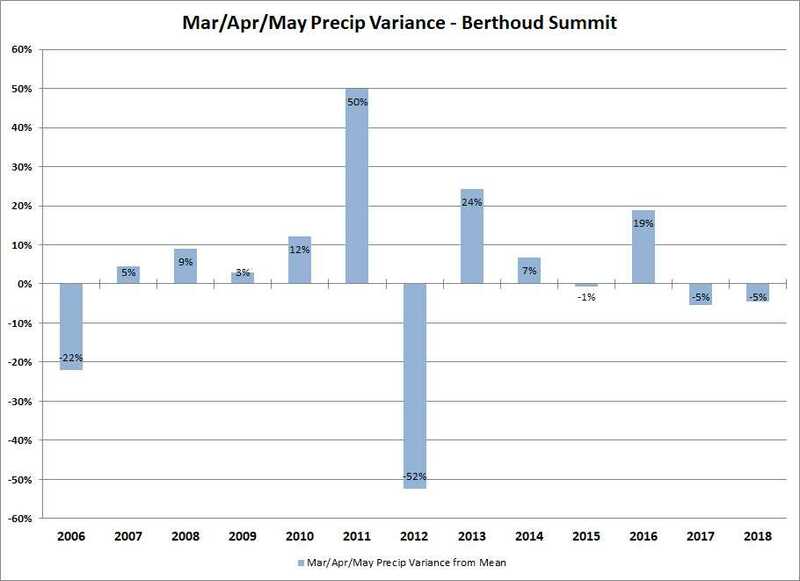 Analysis of Berthoud Summit Snotel data for Water Years 2006-2017 snowmelt seasons showing date and quantity of peak SWE, days from peak SWE to “snow all gone” (SAG), total additional precipitation after the date of peak SWE, an “adjusted” mean daily rate of snowmelt adding the additional precipitation to the peak SWE total, the maximum five-day moving average of daily melt, and the mean air temperature over the entire snowmelt period, from peak SWE to SAG. POR refers to the snotel's entire period of record. The Berthoud Summit Snotel site experiences very good solar access, with no shading from the east, south, or west. 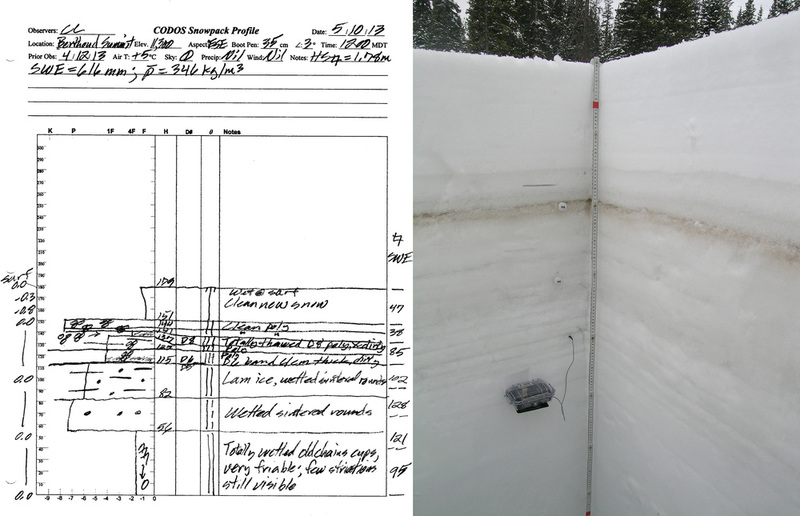 This site is unique in this regard, among the CODOS Snotel sites, and snowmelt rates at this site most fully reflect the impacts of direct solar (radiative) forcing in dust-in-snow. 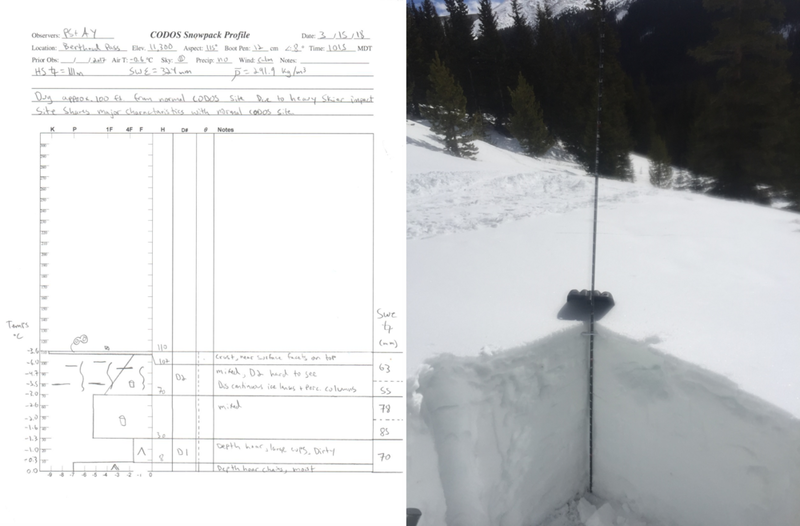 Our Snowmelt Excel Workbook Berthoud Summit contains spreadsheets for each year, including a summary aggregating all years. 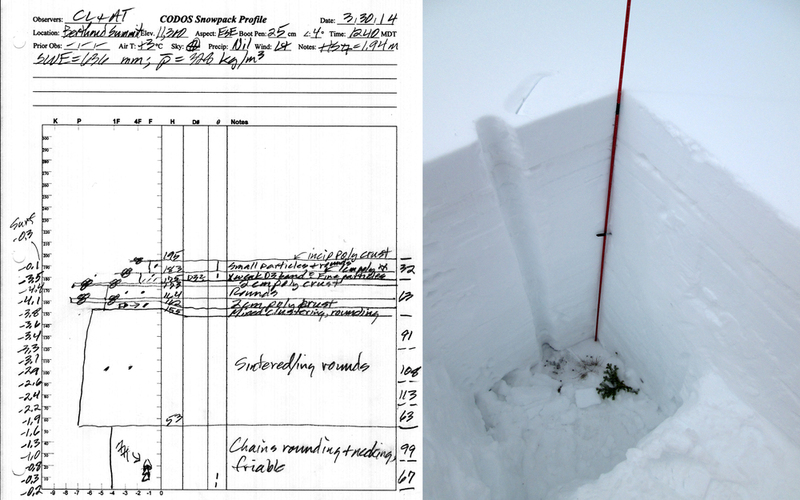 See our Snotel Dataset page for downloadable Excel files for each CODOS site, and an "All CODOS Sites Aggregated" Excel workbook containing spreadsheets for Water Years 2006-2018 and a summary of all years combined. 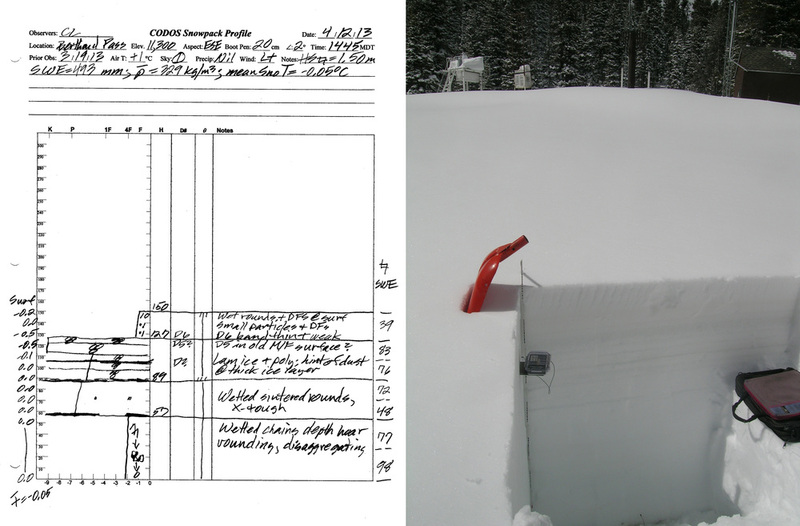 Download: All 17 CODOS Snow Profiles at Berthoud Pass from WY 2009 - WY 2013 (pdf).